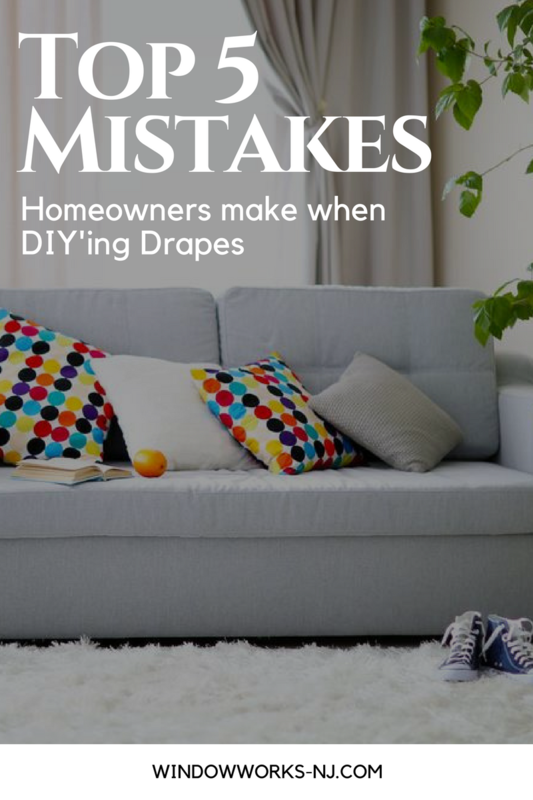 Did you want your drapes to puddle on the floor or was that the result of an inaccurate measurement? Even less costly drapes can look expensive when they are measured and cut to the correct length, so do yourself a favor and grab a real tape measure, not a ruler or any other substitute. 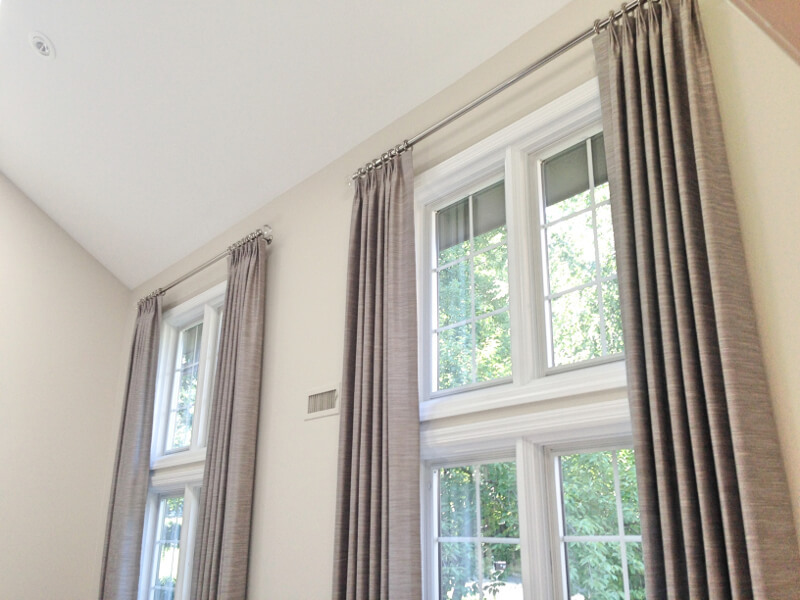 Decide whether you want your drapes hung inside the window or outside / above the window (the latter option is preferred). If you’re still using those white, telescoping drapery rods that tend to sag in the middle, hold the phone. Despite being called, “hardware,” this portion of your window treatment is another way for you to make a design statement. It’s the icing on the cake, if you will. In our photo below, we used stainless grommets and a stainless rod to create a modern finish to this stately ensemble. Nothing says “invisible windows” faster than a blurred transition from wall / ceiling to window. While the contrast doesn’t need to be stark, it does need to be noticeable. If your walls are a solid white, choose more colorful (and perhaps patterned) drapes. Ask yourself what would attractively contrast with your existing space. 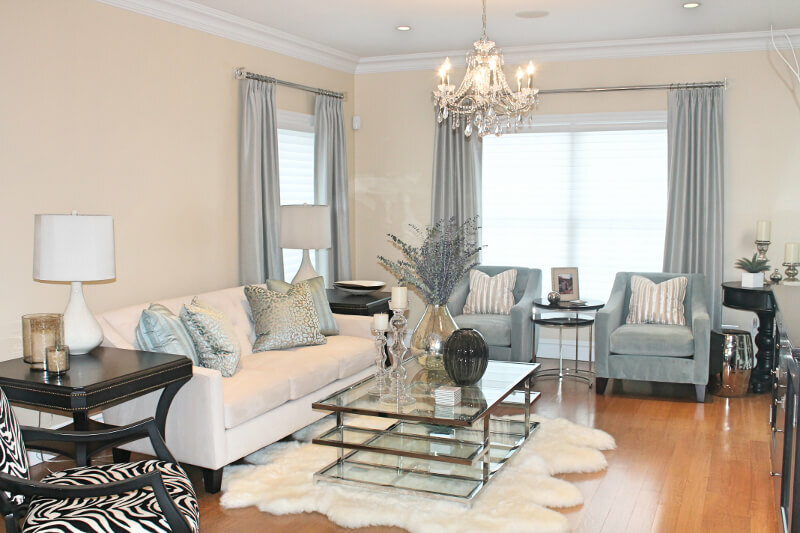 In our example below, we coordinated the drapes with the area rug and even echoed the pattern on the sofa throw pillows while remaining in perfect contrast with the walls and ceiling. 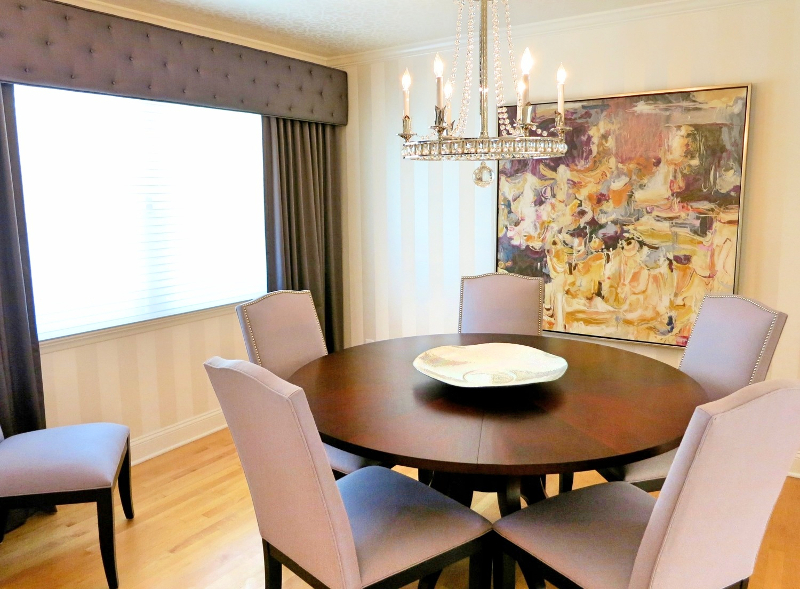 Bonus Tip: If you can match the drapes to your main furniture pieces in some way, do it! Your room will look professionally done and completely pulled together. Do I need more light and just a hint of privacy? Use sheer drapery panels or add unlined Roman shades for a layered look. Do I need to completely darken the room at will? 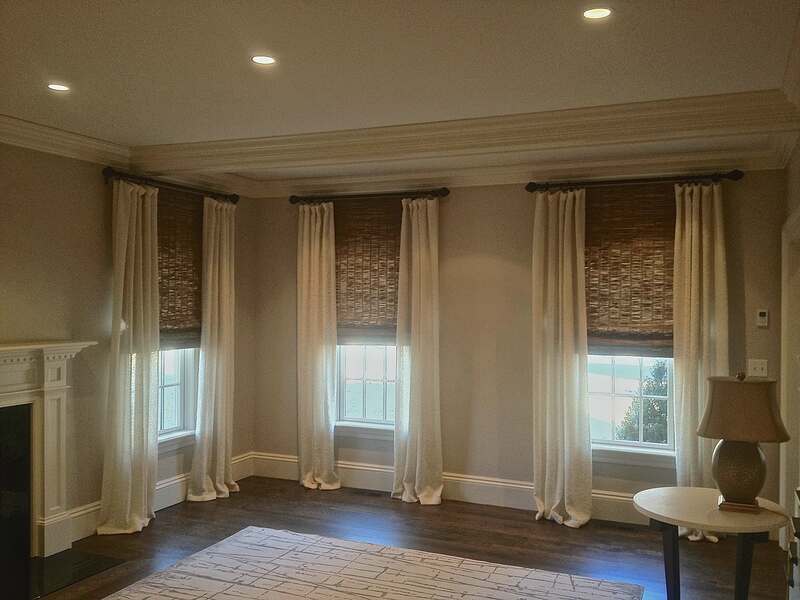 Add blinds with blackout lining. Does my home require a more polished approached, rather than a simple drapery with hardware? Add a cornice or valance. As you’ve noticed, a lot goes into great window treatments. That’s why we’ve specialized in drapes, blinds, shutters, and more for over 30 years. 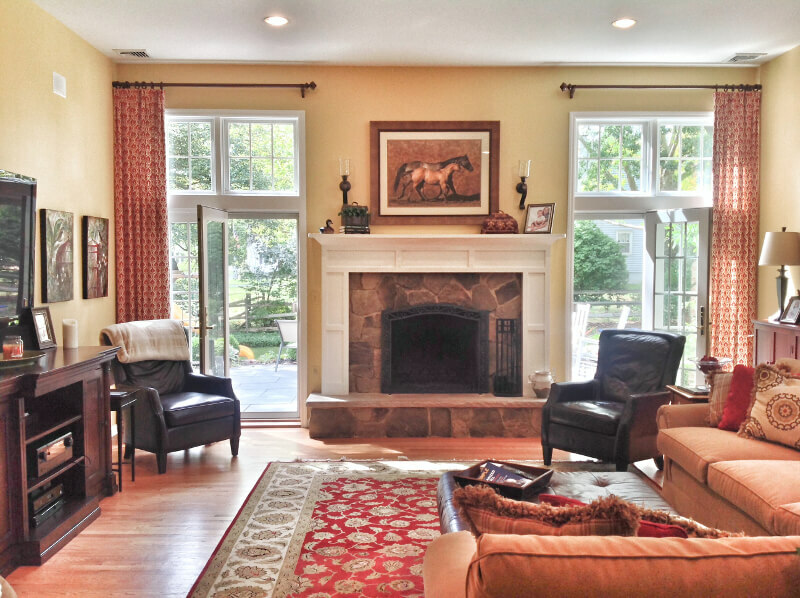 If you’re ready to give your windows a makeover, call Window Works today.